The Reverend Larry G. Wilson is a native of Fayetteville, North Carolina. He was educated in the public school system there, and later attended Winston-Salem State University, Winston-Salem, N.C., graduating with a Bachelor of Science degree in Biology. While at Winston-Salem State he was active in a number of organizations, among them the Student Government Association and the Omega Psi Phi Fraternity. Reverend Wilson earned the Master of Divinity Degree with a concentration in Biblical Studies, from the historic Shaw University Divinity School, Raleigh, N.C., in May 2002. He has also earned the Doctor of Ministry degree from Mercer University, Atlanta, Ga., May 2016. 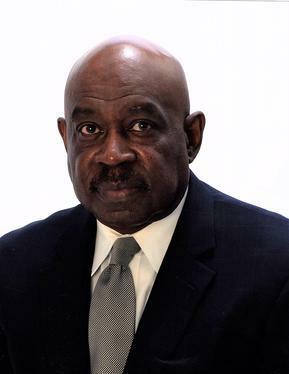 Prior to acknowledging a call to ministry, Reverend Wilson served the church in a number of roles, including trustee, treasurer, teacher, and deacon-in-training. He was licensed to preach the gospel in September 1999 and was ordained to Christian ministry by the American Baptist Churches of the South in May 2002. His pastoral experience includes serving the Chestnut Grove Baptist Church, Semora, N.C. In December 2016, Reverend Wilson prayerfully accepted the call to pastor the New Red Mountain Baptist Church, Rougemont, N.C., and began his tenure there February 6, 2017. He resides in Durham with his wife, Chaplain Audrey L. Wilson. They are the proud parents of 3 children: Litasha, Shaun, Jennifer, and one grandchild, Ava.